When comparing LED and HID fish lights, there are many things to consider. Some fish light companies use LED lights for their dock systems. While LED lights are relatively bright compared to typical lights we, as consumers, are used to on a daily basis, they are not always bright enough to light up a large area by your dock. LED lights also do not generate heat; therefore, they are unable to clean themselves. This will lead to excessive aquatic growth, like barnacles and algae, to build up on the light in the water, and eventually render the light useless. To recap, LED lights struggle in two ways; they are not very bright, and they cannot clean themselves. The best type of light for permanent dock installation are HID lights. These bulbs are not only over 300% brighter than LED lights, they are also self-cleaning. These bulbs generate enough heat to burn off any aquatic growth that tries to grow on the bulbs. Because of this, high-quality fish lights run on a photocell, which turns it on each night and off each morning. This ensures the light will turn on all night, every night, to it can remain clean and barnacle/algae free. The photocell also builds a feeding cycle for the fish, teaching them that each night they can find food by your dock, so they will keep coming back. 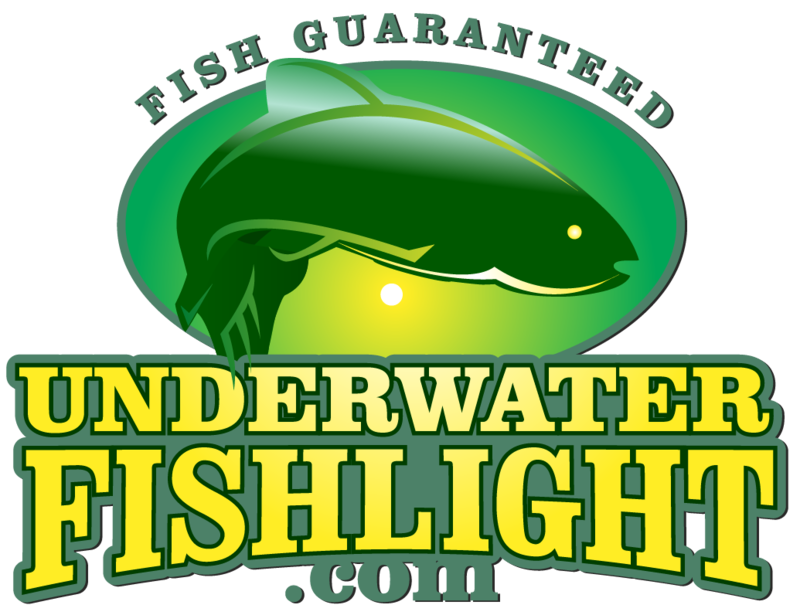 It is also important to be wary of the lumens posted on many fish light websites. Some companies claim their 175-watt bulb gives off 22,000 lumens. This is absolutely false. Unfortunately, the tool that is required to measure lumens is incredibly expensive, therefore no customers are able to dispute the claims made by these customers. While comparing fish lights, you must look at the wattage of the light. All 250-watt lights will have 14,500 lumens, and all 175-watt lights will have 9,000 lumens, no matter what the company claims. If you are comparing companies, be sure to look at the individual components they use to build their lights. While some use simple extension cords (which is illegal), other companies will use UL approved underwater-rated wire. Many companies only have a one-year warranty while others have three-year warranties. Do not let claims of high lumens trick you! Be Prepared to Fish at Night!